Nothing marks the difference between photos or videos shot by a pro vs. those shot by an amateur than blur in the former and jitter in the latter. 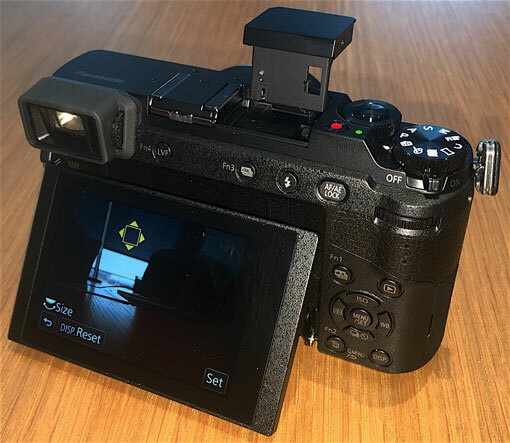 Eliminating blur in photos and jitter in videos is the primary goal of the new DSLM (Digital Single Lens Mirrorless) Panasonic Lumix DMC-GX85, the first digital camera of any type with both 5-axis body image stabilization (B.I.S.) and traditional dual lens-based optical image stabilization to protect your photos against any kind of camera movement while you're shooting. If you're unfamiliar, B.I.S. isolates the image sensor, rather than the lens, from your unintended pitch, yaw, shift, roll and side-to-side camera movements. Isolating the sensor chip is more effective than isolating the lens, and isolating the image in both the lens and the sensor means you'll get the most blur- and jitter-free results possible in nearly any telephoto or lighting situation. Multi-axis B.I.S., pioneered by Olympus and now becoming a regular feature of higher-end mirrorless models, also means you'll still get reduced blur and jitter if you attach non-O.I.S. Panasonic Micro Four Thirds-format lenses to the GX85. Check out the demo of Panasonic's dual system versus Olympus's single system in the video below. Beyond reduced or eliminated blur and jitter, the dual I.S. lets you slower shutter speeds that let you capture images in low light without the usual fuzziness – or a tripod. Blur- and jitter-free images and video isn't the GX85's only benefit. At 4.80 x 2.78 x 1.73 inches, the GX85 is nearly half the size of a traditional D-SLR. And at just 1.09 pounds, it's surprisingly light so you won't feel bogged down after a day of carrying it around. Image-wise, the GX85 shoots 16MP stills and both 4K 30p and 1080p 60p video, and includes Panasonic's three unique 8MP 4K Photo burst photo modes: 4K Burst for when you're shooting something predictable, 4K Burst (Start/Stop) for when you're shooting something unpredictable, and 4K Pre-burst, which captures the 30 frames of action before and 30 frames after you press the shutter release. The GX85 also offers Post Focus, which lets you change the in-focus subject in a photo even after you've snapped it. Feature-wise, Panasonic has eliminated the low pass filter (LPF) to widen detail resolution around 10 percent, and a new Venus Engine processor eliminates any remaining moiré resulting from the lack of an LPF. You also get a quieter shutter so you won't disturb folks when shooting in subdued circumstances, and a faster auto-focus in a wider variety of focusing circumstances (i.e. face/eye detection, low light, etc.). Focus and Aperture Bracket have been added to let you choose the best exposure in a burst, and, for artsy-fartsy types, Panasonic's new L.Monochrome mode delivers monochrome shots with the rich gradation of old-fashioned black & white film. Aside from the tiltable (up 80 degrees, down 45 degrees) 3-inch touchscreen, the GX85 includes a tiltable built-in flash, Wi-Fi to transfer photos to a smartphone for sharing, and a 290-shot battery. For traditionalists, the GX85 is equipped with a 2764K-dot equivalent 16:9 live view finder (LVF). 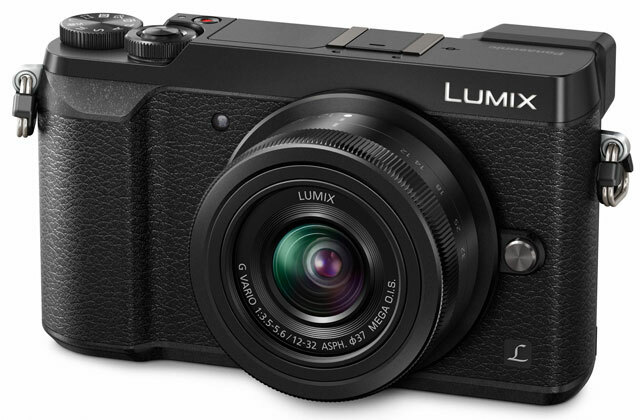 The Panasonic Lumix GX85 will come with a 12-32mm f3.5-5.6 lens—no body-only option—when it goes on sale this Spring for $799.99.